Unless you’ve been living under a rock, you’ll know that it’s a big year for Roald Dahl this year. Not only is it the 100th Anniversary of the birth of the well-loved author (13th September 1916), but there’s also the new BFG movie that’s recently opened in cinemas. While the movie ends a little differently that the book, it’s still a lovely movie, and a great update on the old movie. 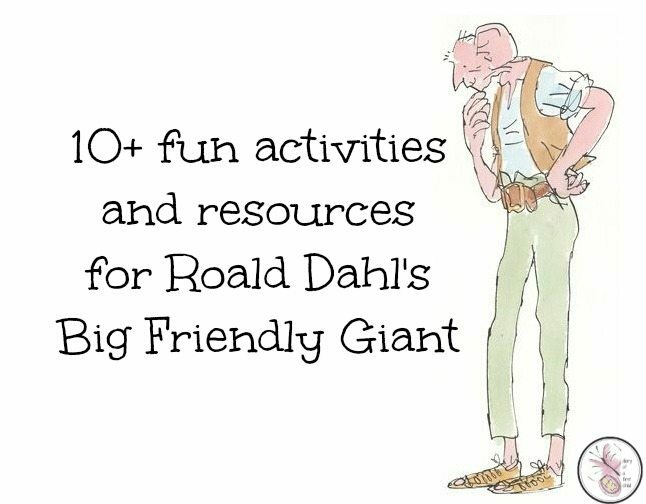 We love Roald Dahl and have done a lot of activities for Roald Dahl Day over the years, and I’m sure we’ll celebrate his birthday quite happily again this year – but to coincide with the new film, we’ll probably focus on The BFG this year! Here’s a bit of a round up from around the world wide web – and from our own experience – of activities to do around The Big Friendly Giant. Only loosely connected, but enough to get the kids involved, is the Big Friendly Read summer reading challenge running around UK libraries this summer (2016). Choose 6 books to read over the course of the summer, and you receive scratch and sniff cards and a medal at the end of the challenge.